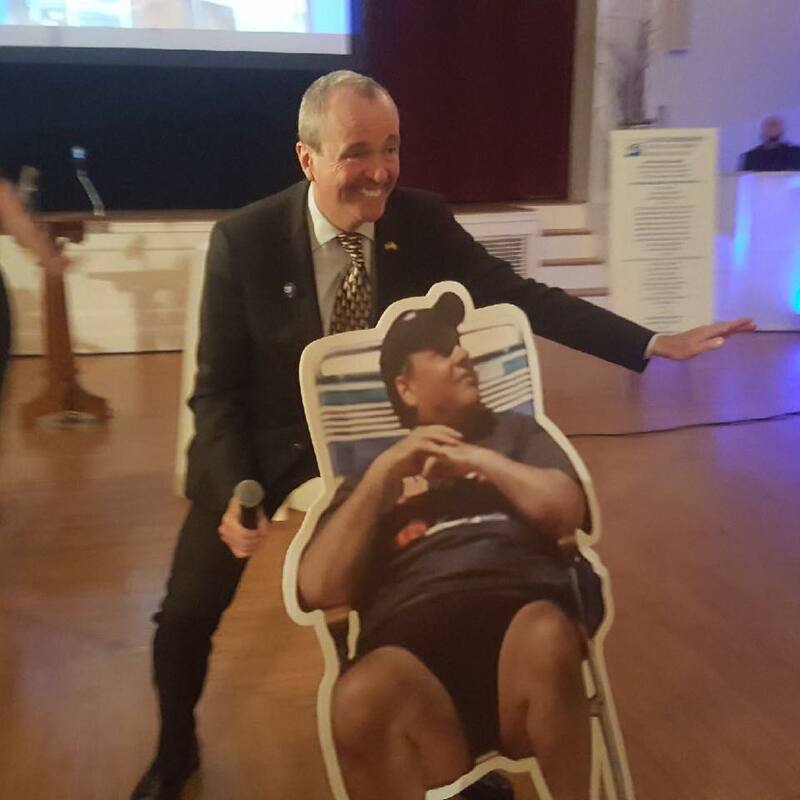 New Jersey Governor-elect Phil Murphy was photographed posing and laughing next to a cutout of outgoing Gov. Chris Christie lounging at the beach. The cutout was in reference to Christie’s widely panned decision to spend Fourth of July weekend with his family at a New Jersey beach after public beaches were shut down because the legislature failed to pass a budget. New Jersey’s Democratic governor-elect took a shot at departing Gov. Chris Christie on Thursday during an event sponsored by the New Jersey Working Families Alliance in Glen Ridge, New Jersey. Christie earned widespread criticism earlier this year when he and his family were pictured enjoying a day at New Jersey’s Island Beach State Park during the Fourth of July weekend, shortly after the state’s government shut down when the legislature failed to reach a budget compromise – shuttering public beaches. Christie condemned Murphy’s action, echoing criticisms that it was something you’d see on the campaign trail, not from a governor-elect. Murphy, a former Goldman Sachs executive and Democratic operative, won the New Jersey governor’s race in November after beating Republican candidate Kim Guadagno, who is currently the state’s lieutenant governor.